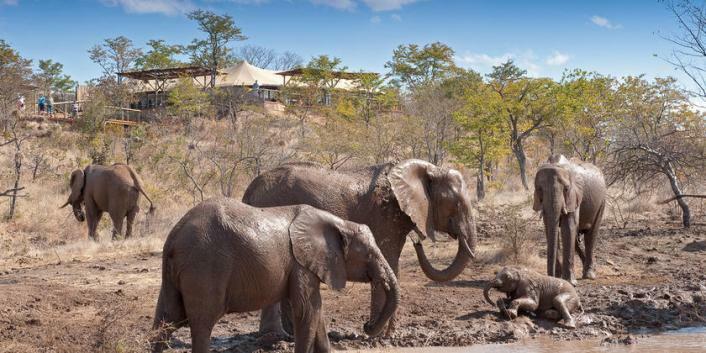 The stunning Elephant Camp is situated on the Wild Horizons private wildlife concession on a slightly elevated hillock, it has been cleverly designed so that each tent is private, yet each one having it's own spectacular view across unspoilt bushveld towards the Zambezi gorges. The main complex is spacious and beautifully decorated with fine furnishing. 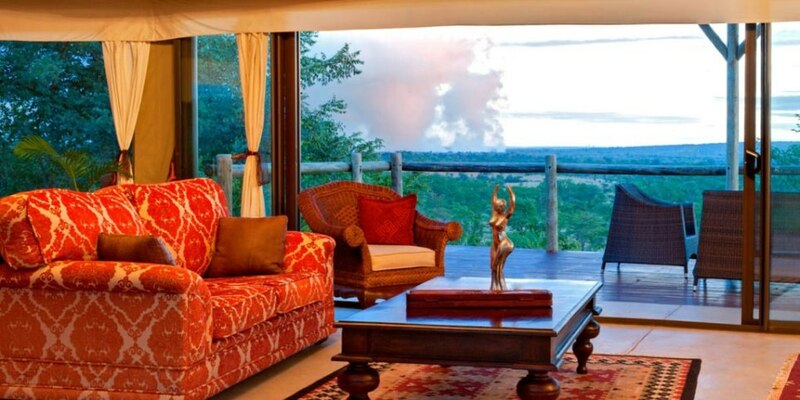 The enormous deck has a wonderful view right across to the towering column of spray rising from Victoria Falls. 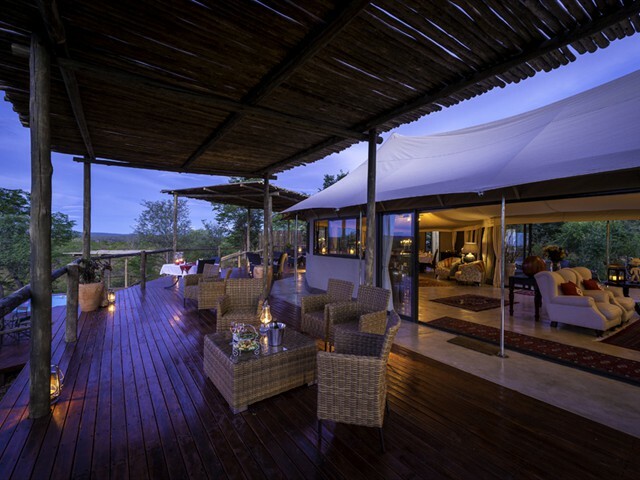 The Elephant Camp is a luxury lodge which caters for maximum of 18 guests only, in the most gorgeous suites imaginable. Everything is tastefully done and of the highest quality. Your host Jonathan and his staff are ever attentive and will ensure that your stay is an unforgettable one. The guest book is already full of glowing testimonies. We think this camp suits guests who are looking for luxury safari style accommodation in a stunning, peaceful location, yet who want to be close enough to Victoria Falls to experience some of the many other activities on offer, not least of course the Victoria Falls themselves. 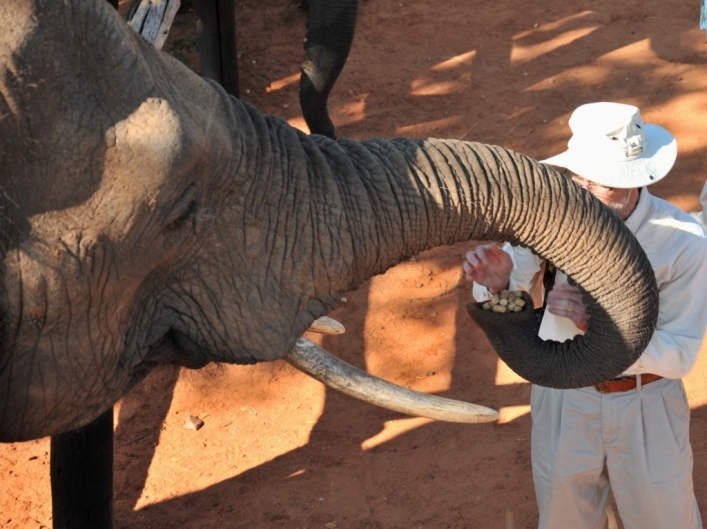 Staying on this private concession will also allow you the opportunity to get close and interact with the Elephants at the Wild Horizon Wild Life Sanctuary. There is also plenty of other game resident on the concession. Elephant Camp is one of the top lodges in Victoria Falls located about 10 kilometres from the town centre. Free shuttles into town are offered but these have to be arranged and scheduled with management. Situated on the wild horizon wildlife estate it has an exquisite bush lodge setting. Everything about the camp is first class from the luxury rooms and food to the staff and service. Staying here comes with a hefty price tag but if you can afford it then it is well worth every penny. Top class and highly recommended. • The main complex with a spacious deck, lounge, bar and dining area is a tented structure leading onto a sun-kissed pool offering sweeping vistas of the Batoka Gorge and the magnificent spray of the Victoria Falls. • Selected Spa Treatments available in the privacy of your suite (subject to availability, on request at an additional charge). 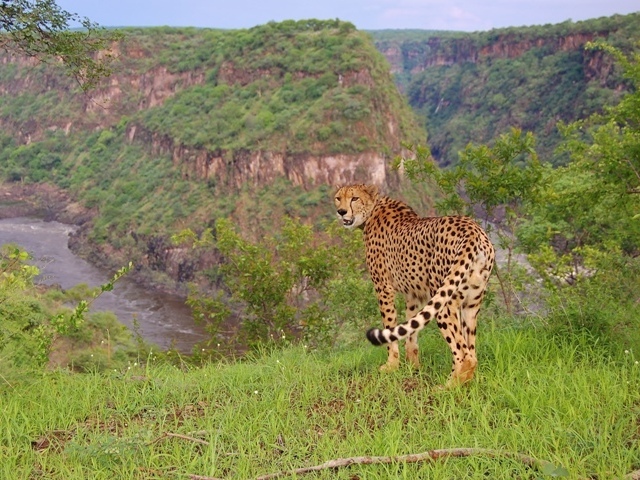 • Situated within the Wild Horizons wildlife sanctuary where many species of game are resident. • Children aged 7-12 years will be charged 50% of the adults sharing rate. • Accommodation and all meals. 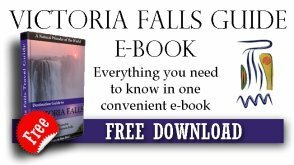 Fly into Victoria Falls, Livingstone or Kasane Airport. A stay at Elephant Camp included scheduled return transfers from Victoria Falls and Livingstone Airport. Contact us to arrange transfers from Kasane Airport. For a more exclusive experience, Elephant Camp West caters for groups who want an intimate stay in Victoria Falls. Bookings for this camp are done for the entire section as opposed to rates charged per room. This newer addition to the camp can accommodate up to eight adults and eight children in four luxury tents which are similar in size and design to the ones at the main camp. Although it is an extension of Elephant Camp, it has its own separate central lounge with a bar, swimming pool, dining area and kitchen, and service offered is similar though independent from the main camp, ensuring a more intimate experience. 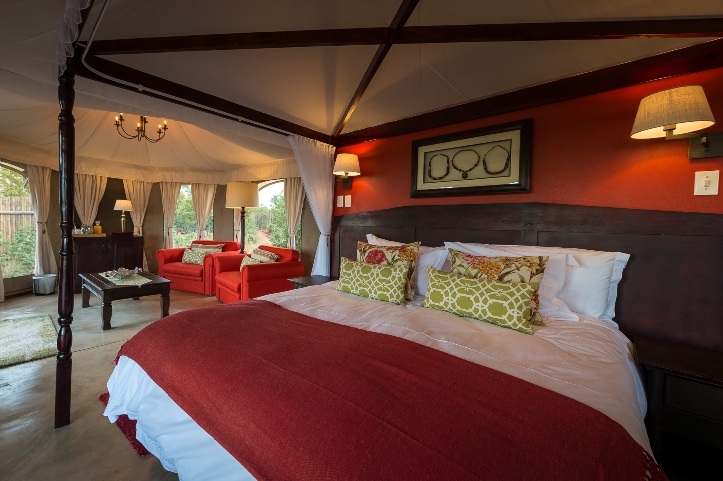 Much like the main camp suites, the spacious rooms offer guests views of the gorges and the spray of the Victoria Falls in the distance, as all rooms are gorge-facing. The accommodation options are flexible - rooms are double bedded with two sleeper couches for children 15 years and younger. Elephant Camp West is an ideal option for small wedding parties or family groups who want to have a quiet and intimate stay in Victoria Falls, and also want to enjoy the activities and sites in the town. Return shuttle services are available to take guests into Vic Falls town. • Accommodating up to 8 adults and 8 children at any one time. • Children of all ages welcome when camp is booked. • Up to 2 children in each suite (up to 8 children in all four suites) can be accommodated at a time. • Accommodation in all four luxury suites.